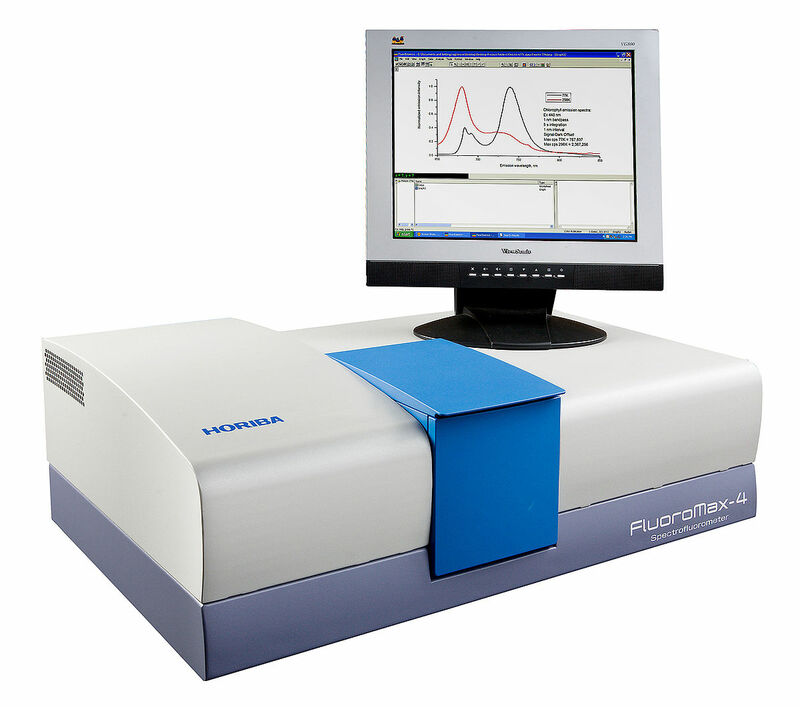 The FluoroMax® series represents Horiba’s industry-leading fluorometer performance in a convenient, affordable, easy-to-use benchtop model. 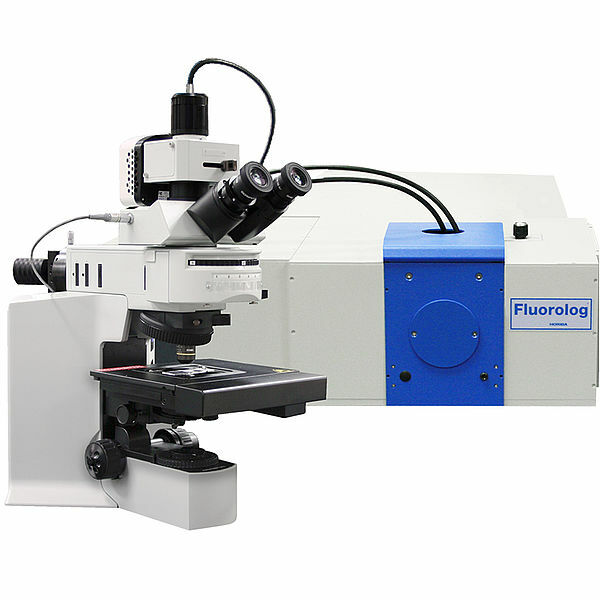 The FluoroMax® family, with its unique all reflective optics and photon counting was the first to bring the sensitivity of a modular fluorometer to a tabletop fluorescence instrument. 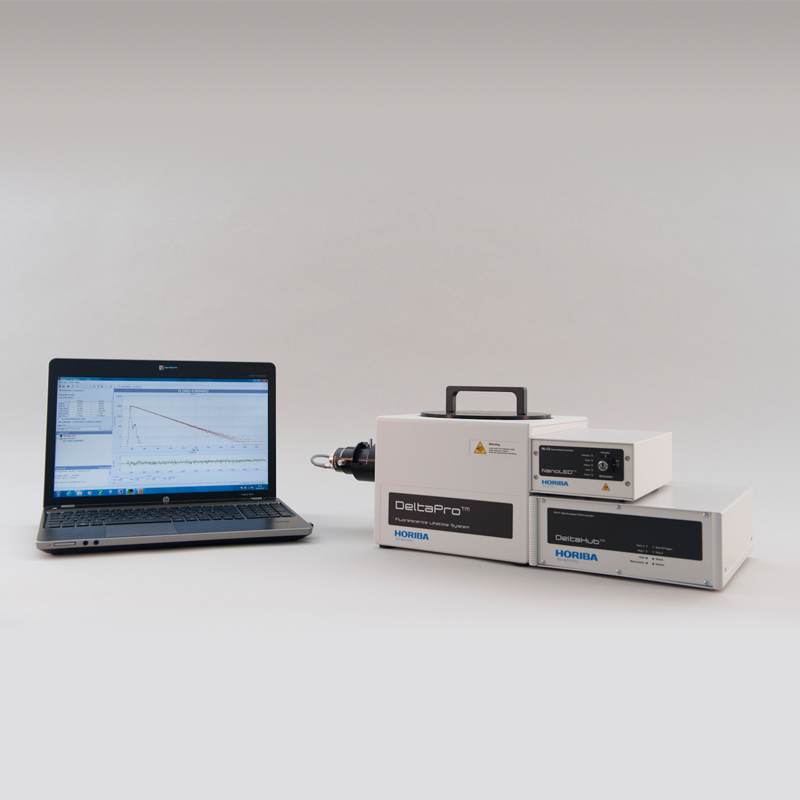 It’s a compact spectrofluorometer, yet offers the ultimate sensitivity in fluorescence investigations as well as features not found in most table-top fluorescence detection systems. The FluoroMax® series consists of the FluoroMax-4, the latest generation of the original, high performance tabletop fluorometer, which offers extended performance with detection of emission spectra out to 1700 nm and (TCSPC) Time Correlated Single Photon Counting lifetime measurements as short as 25ps. 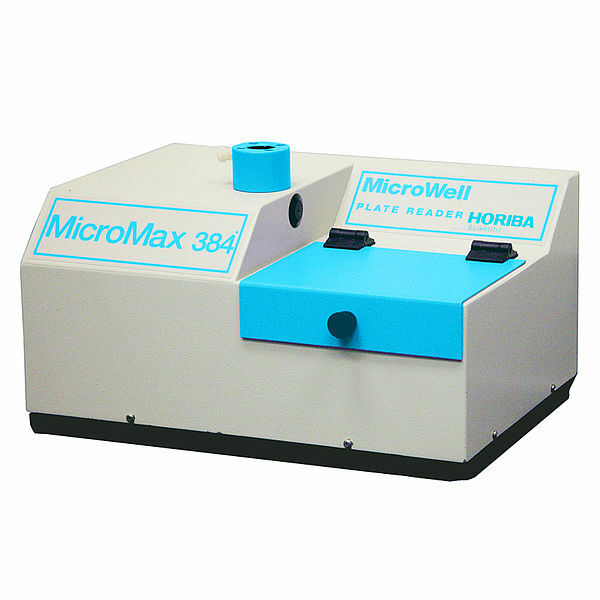 The FluoroMax series spectrofluorometers are ideal for measuring solid and liquid samples. 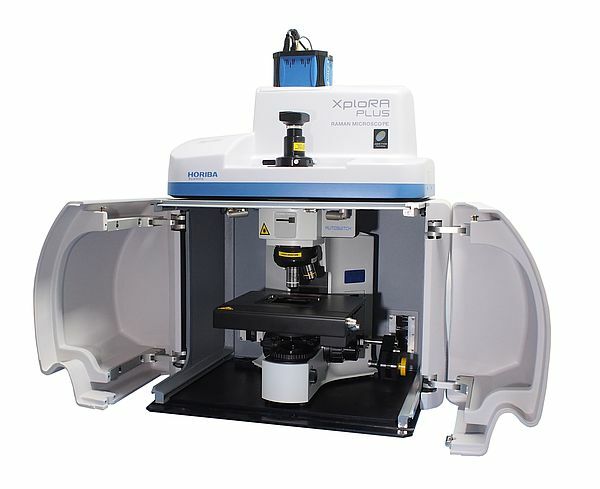 The xenon source that supplies prime UV performance is focused onto the entrance slit of the excitation monochromator with an elliptical mirror. 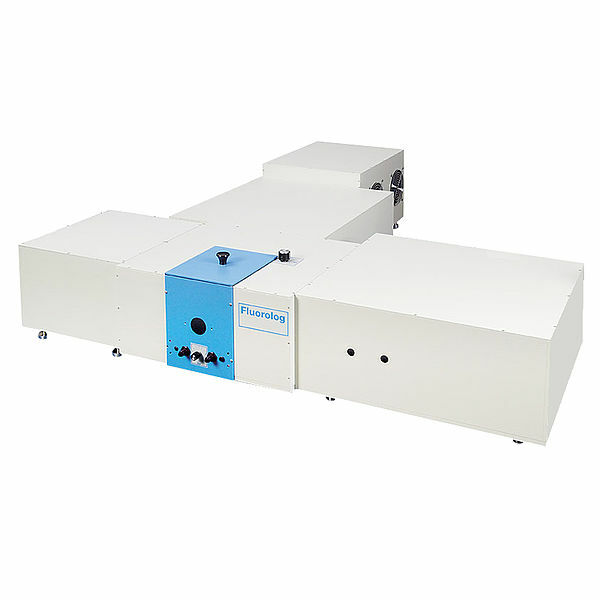 Besides ensuring efficient collection, the reflective surface keeps all wavelengths focused on the slit. 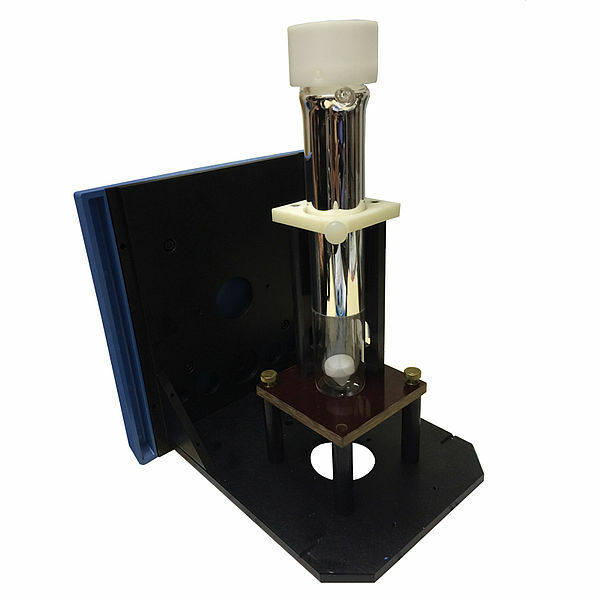 As an option an additional, software-selectable, xenon flash lamp can be fitted to enable phosphorescence studies. The slits themselves are bilaterally, continuously adjustable from the computer in units of bandpass or millimeters. This preserves maximum resolution and instant reproducibility. 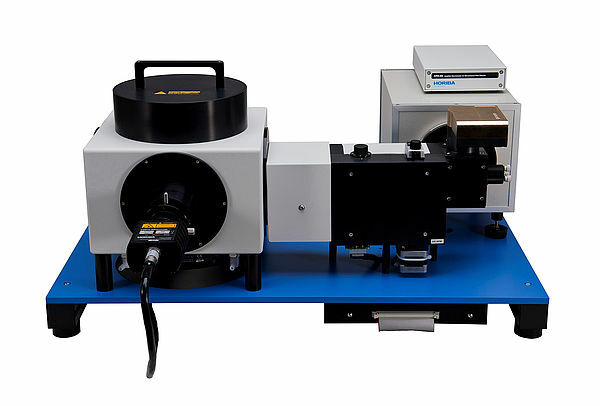 The excitation monochromator is an aspheric design which ensures that the image of the light diffracted by the grating fits through the slit. The gratings themselves are plane, blazed gratings that avoid the two major disadvantages of the more common concave holographic gratings: poor polarization performance and inadequate imaging during scans that throws away light. 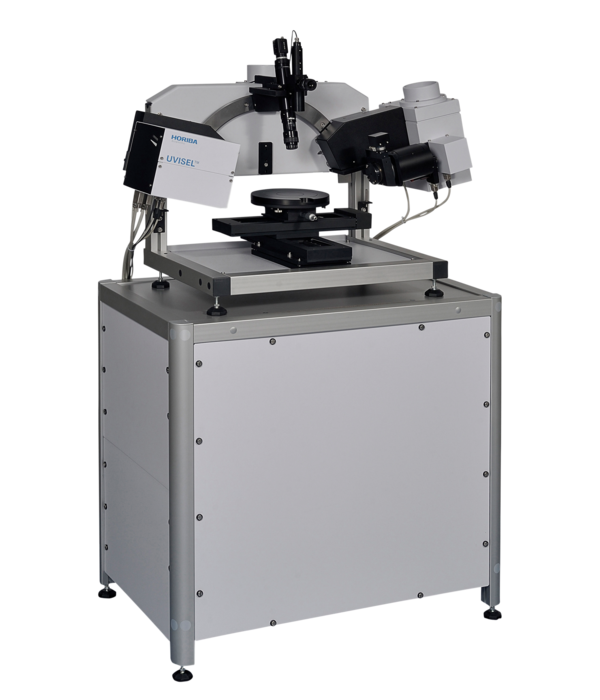 The unique wavelength drive scans the grating at speeds as high as 80 nm/s. The grating grooves are blazed to provide maximum light in the UV and visible region. 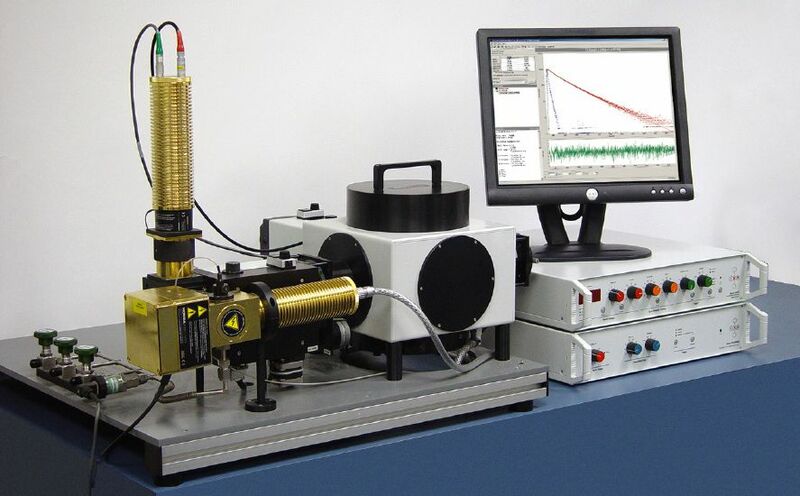 Before the excitation light reaches the sample, a photodiode reference detector monitors the intensity as a function of time and wavelength. 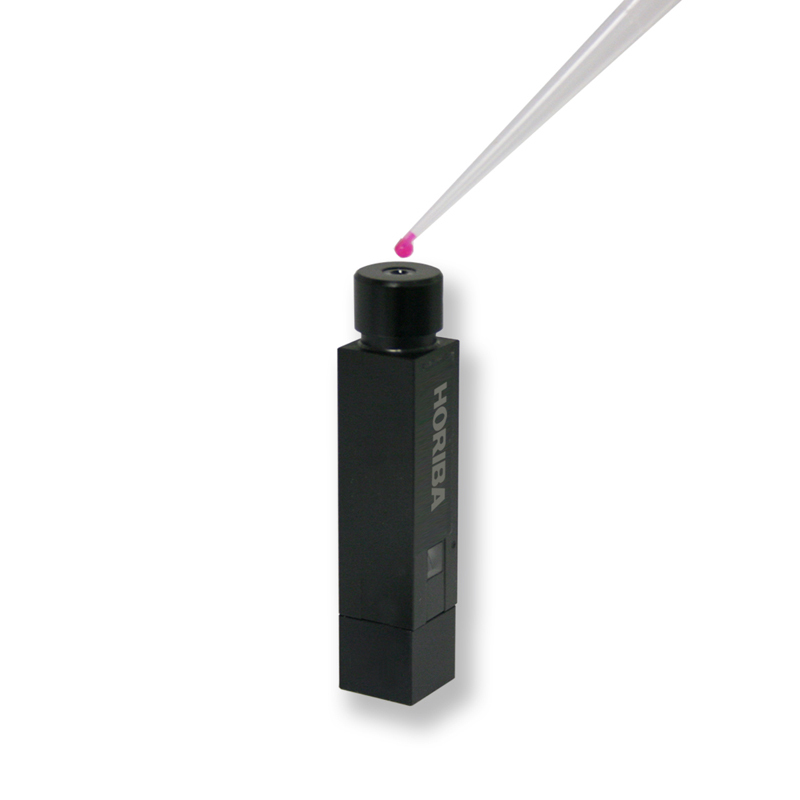 The photodiode detector has a wider wavelength response than the older, traditional rhodamine-B quantum counter, and requires no maintenance. 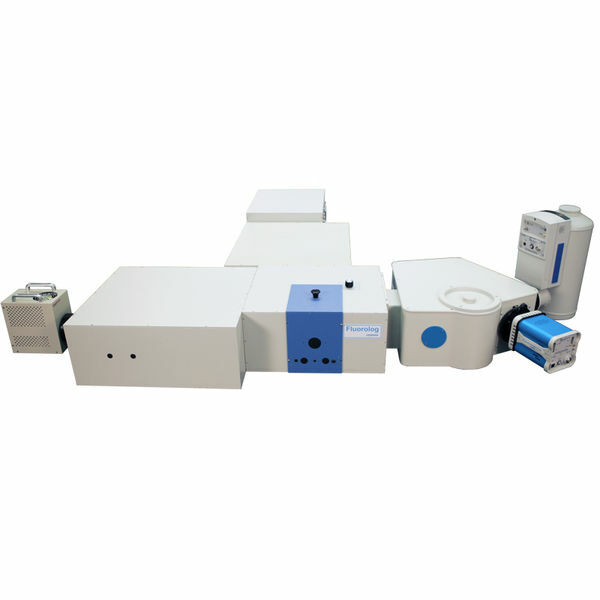 A spacious sample chamber is provided to allow the use of a long list of accessories for special samples, and encourages the user to utilize a variety of sample schemes. 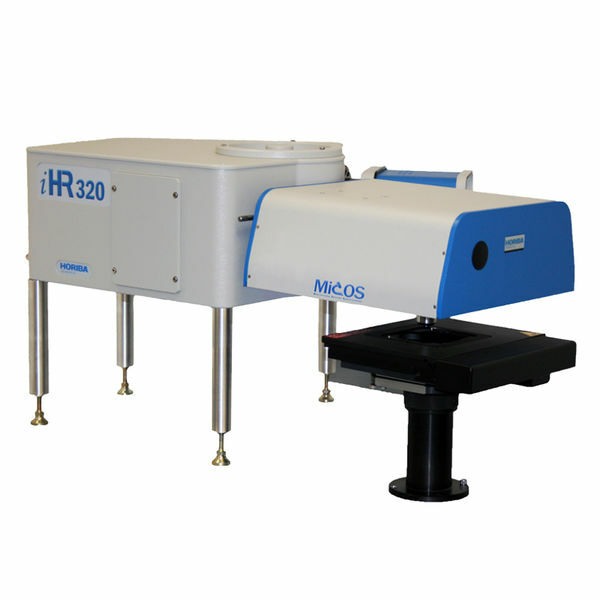 All the outstanding features of the excitation monochromator are also incorporated into the emission monochromator. Gratings are blazed to provide maximum throughput in the visible region. 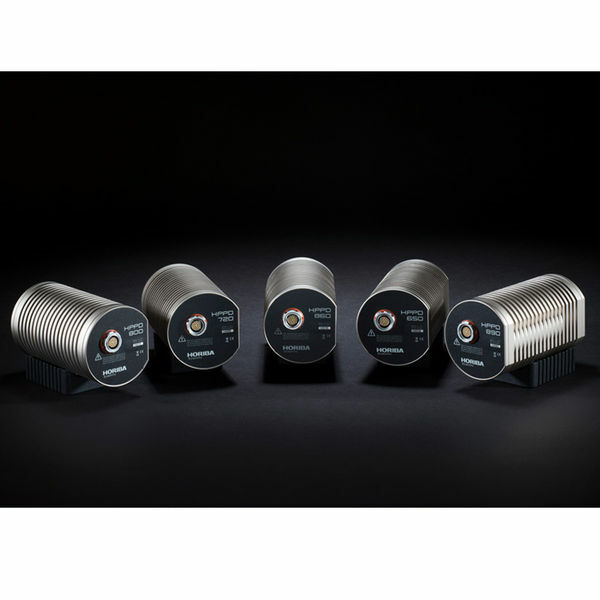 Emission detector electronics employ photon-counting for the ultimate in low-light-level detection. 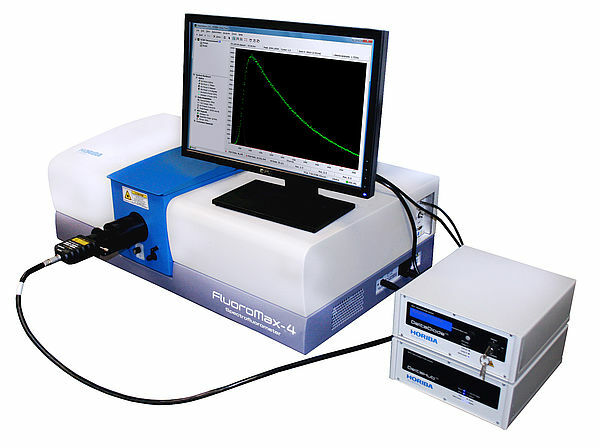 Photon-counting concentrates on signals that originate from fluorescence emission, ignoring smaller signals originating in the detector tube (PMT). 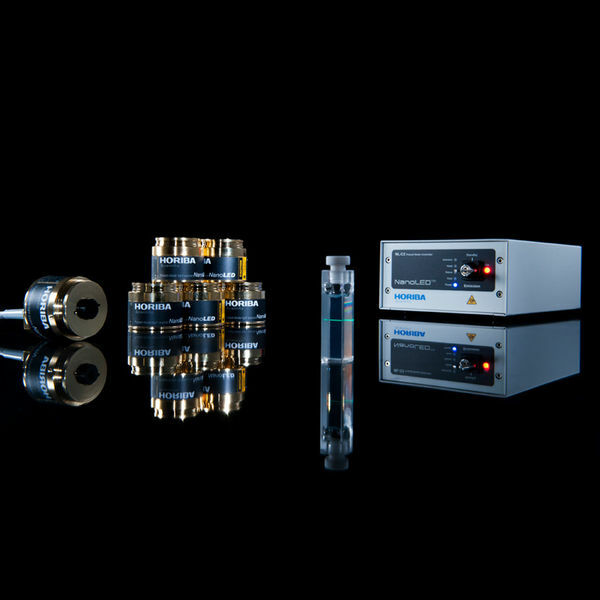 The more common method of analog detection (used by lower performance fluorometers) simply adds noise and signal together, masking weak emissions. 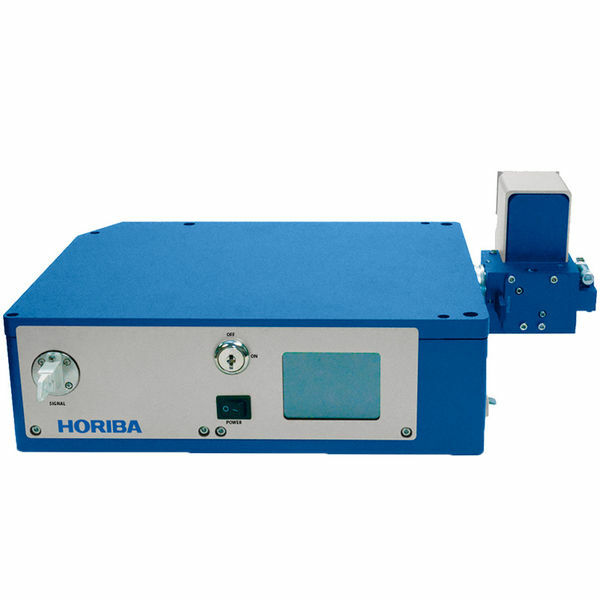 The emission detector housing also contains an integral high-voltage supply which is factory set to provide the signal-to-noise ratio. 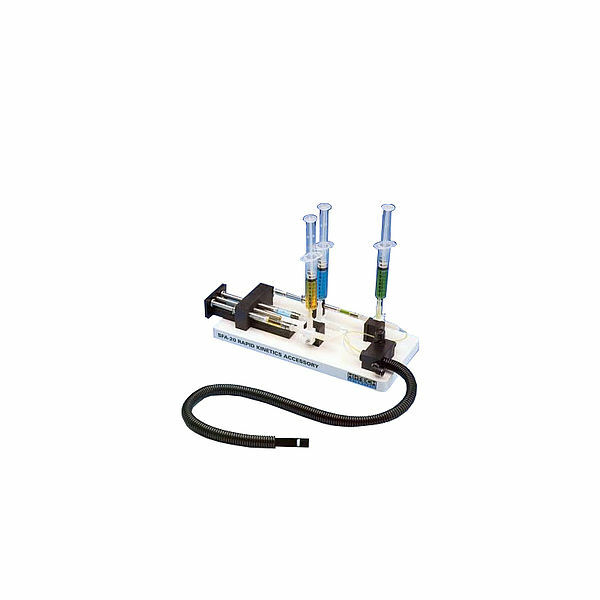 The entire control of the FluoroMax originates in your PC with our FluorEssence™ software and is transmitted through a USB link. 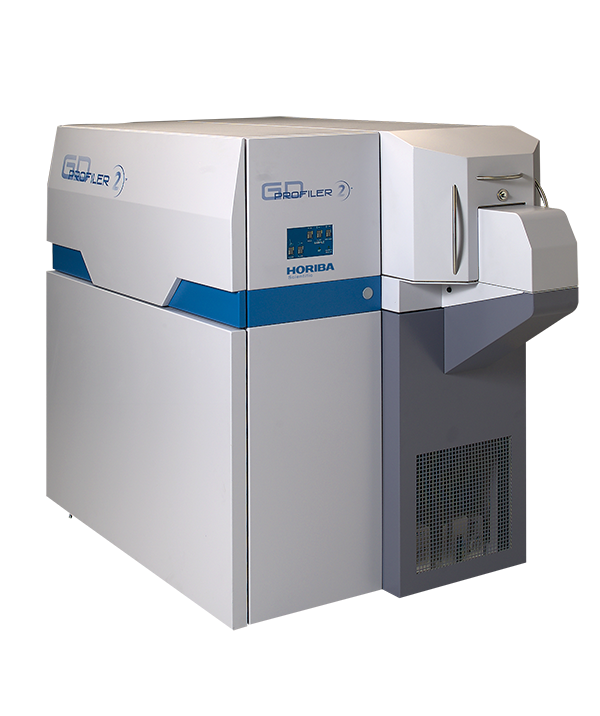 On start-up, the system automatically calibrates and presents itself for new experiments, or stored routines instantly called from memory. 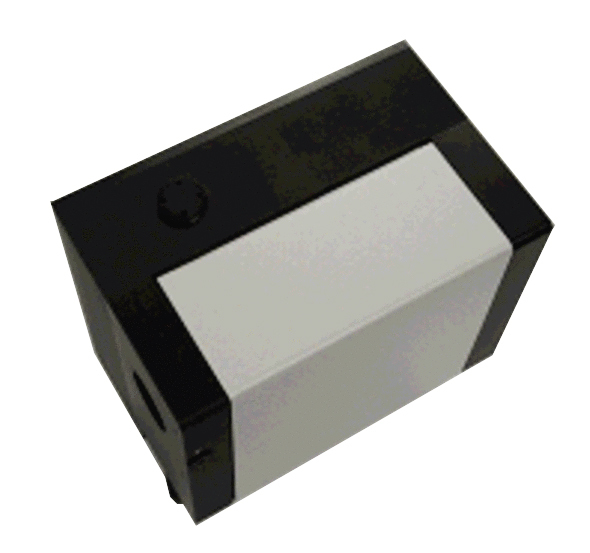 A wide variety of accessories are applications-oriented and most are interchangeable with the FluoroMax system. Simple clicks let you select a scan type, accessory or bring back a complete experimental set-up. 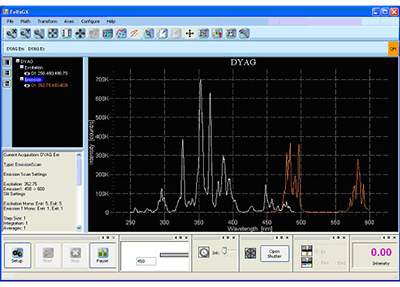 Simplified windows make data-acquisition intuitive even to the casual user. With detector algebra, assemble input signals from different detectors into unique equations (including arithmetic or transcendental functions) that produce data in a format tailored to your application. 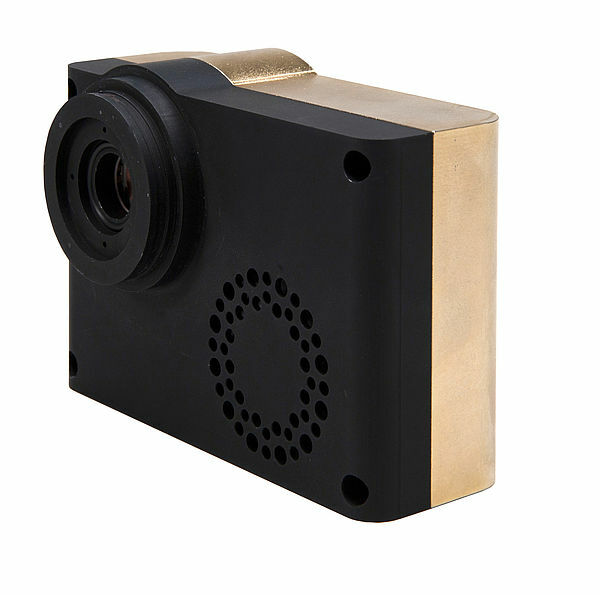 Select the special Real Time Control (RTC) window to optimize your run parameters before actually scanning. 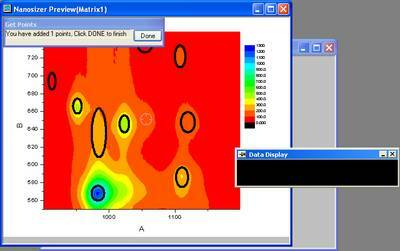 Free video tutorials make FluorEssence™ even easier to learn. 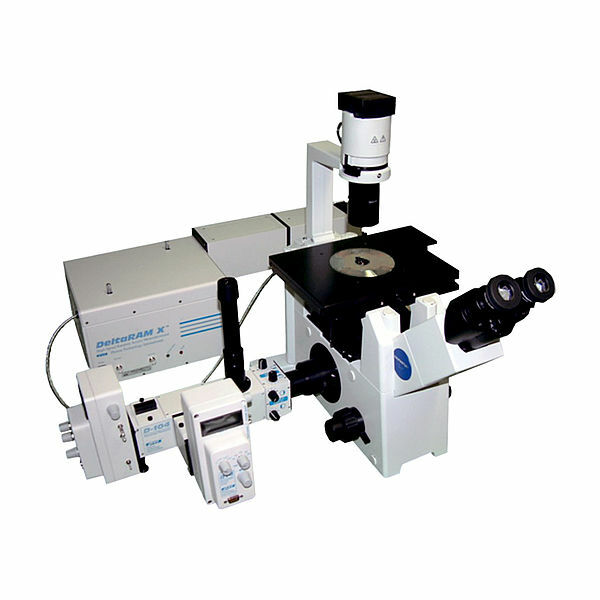 Run a variety of accessories including polarizers, microwell-plate readers, temperature baths, autotitrators, phosphorimeters, and more. 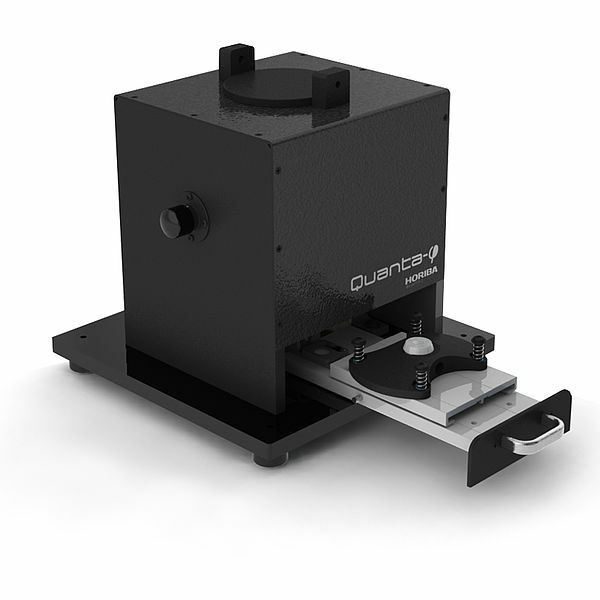 Automatic correction for blanks and lamp output. 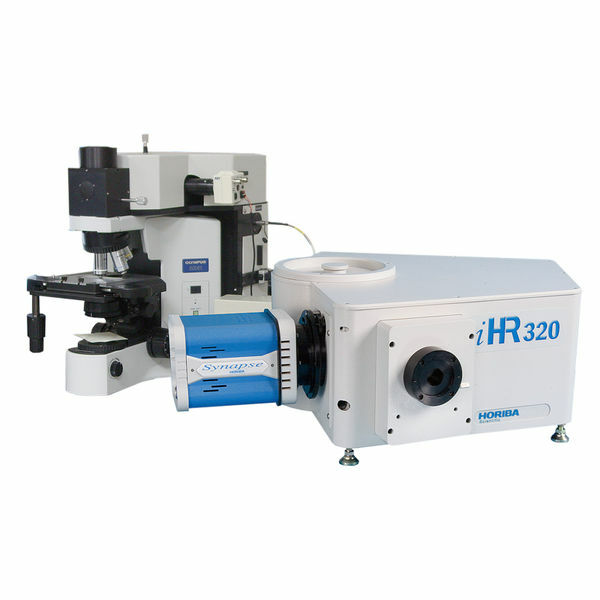 Change units for temperature, wavelength, and slit-width with the click of a mouse. 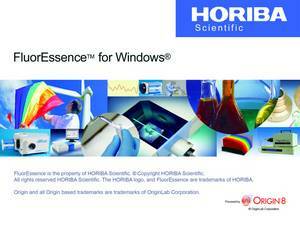 FluorEssence™ also includes the powerful processing and data-management tools of Origin® to streamline your laboratory’s operation. Data-viewing, plotting, processing and management are all available, including extensive import and export facilities, view manipulation and creation, arithmetic applications, peak-picking and integration, data- management and much more! 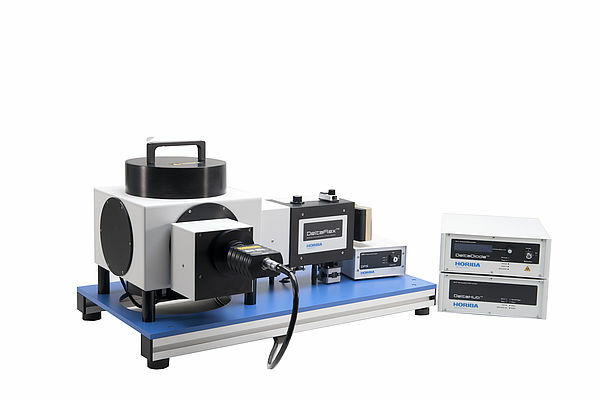 DAS6 is designed to streamline the analysis of time-domain luminescence data, while still allowing for fine-tuning of parameters where necessary. 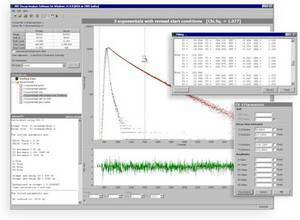 Analysis modules include reconvolution analysis of multi- exponential models plus analysis of more specialised fluorescence decay processes as detailed below. 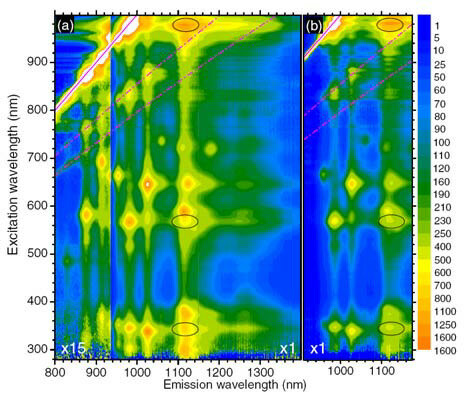 Polarized light striking a fluorescent molecule results in polarized fluorescence. 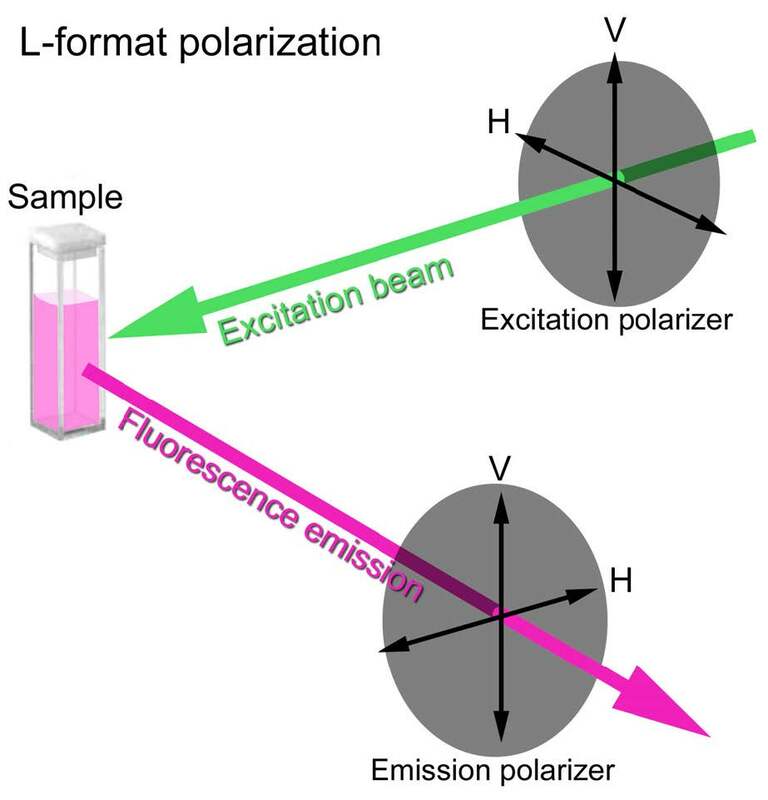 This polarized emission gradually returns to unpolarized fluorescence depending on rotational diffusion and other factors. 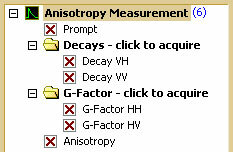 Anisotropy is directly related to the polarization, and is the ratio of the polarized light component to the total light intensity. 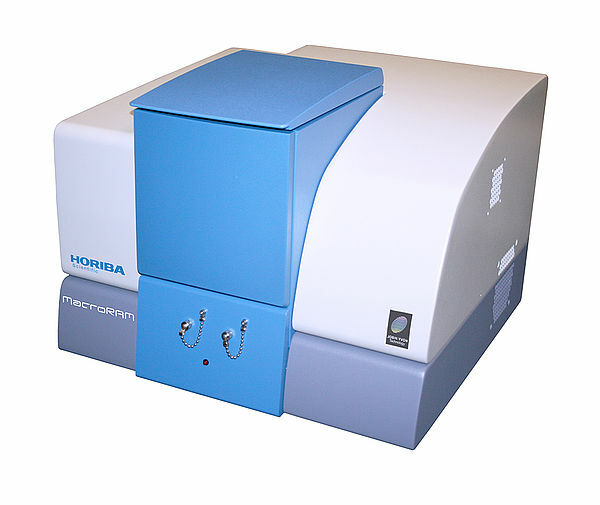 The results of UV exposure of human hair can be quantified with fluorescence spectroscopy. This is of significant interest to cosmetics and pharmaceutical companies that manufacture hair creams, coloring, shampoos, and conditioners. Water travels through the environment carrying dissolved organic matter (DOM), made up of various chemical compounds, which have entered the water column from many sources. When a fluorophore absorbs a photon of light, an energetically excited state is formed. 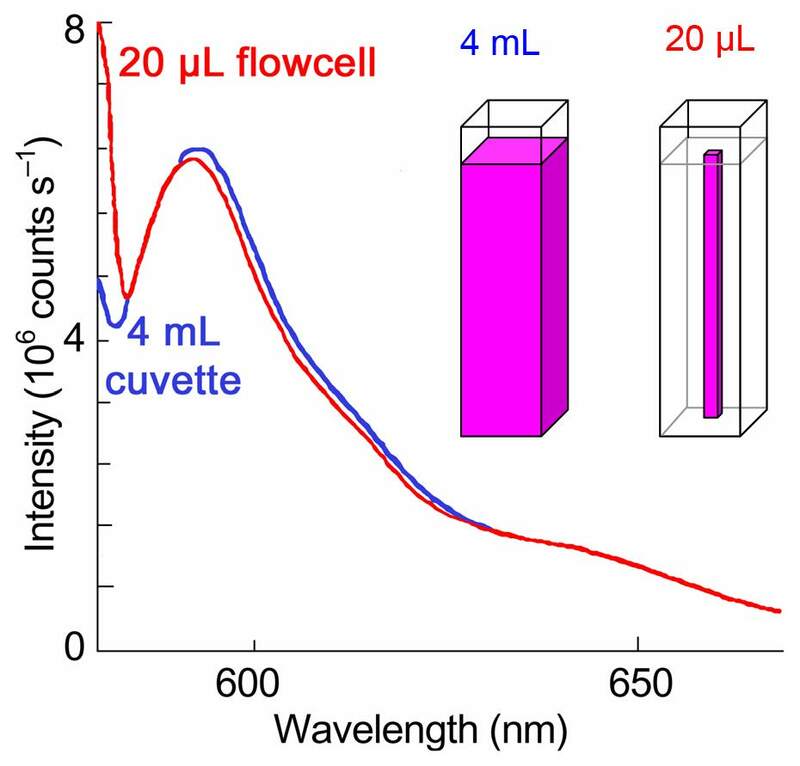 The fate of this species is varied, depending upon the exact nature of the fluorophore and its surroundings, but the end result is deactivation (loss of energy) and return to the ground state. Automobile-parts production can be paralyzed by a defective electrongalvanizing (EV) bath line. 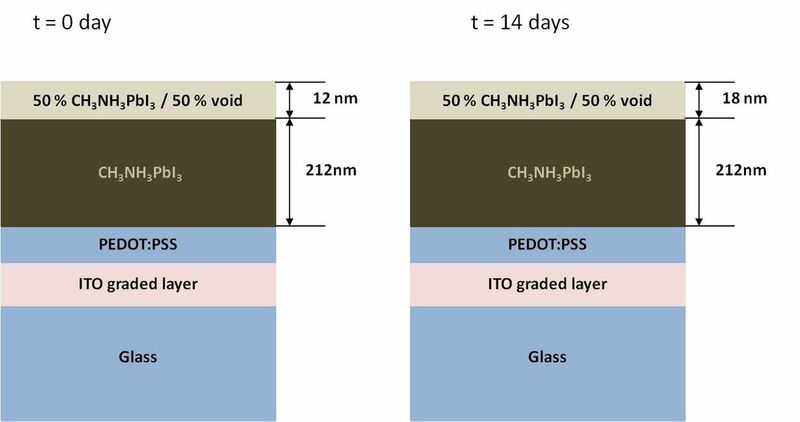 With their ~20 % efficiency, hybrid perovskite solar cells are the new promising candidate for next generation photovoltaics. 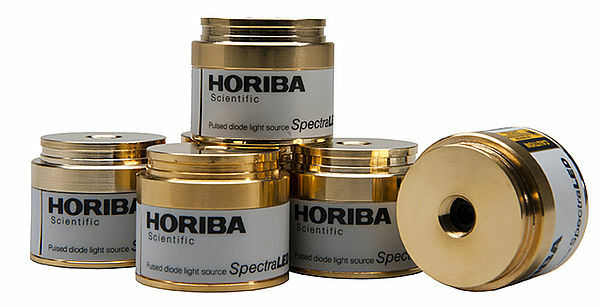 Thanks to the wide HORIBA Scientific portfolio, different techniques can be used to gain in depth knowledge on the optoelectronic properties and mechanisms of this class of materials. 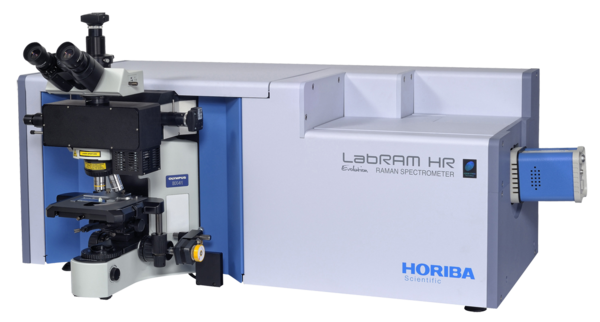 In this application note we decided to use spectroscopic ellipsometry, steady-state and time-resolved fluorescence and Glow Discharge Optical Emission Spectroscopy to investigate the properties of CH3NH3PbI3 thin films deposited on a spin-coated PEDOT:PSS. The impact of the exposure to air was addressed. Tryptophan phosphorescence within protein molecules is gaining attention as a probe of protein dynamics and structure. The tryptophan phosphorescence lifetime, τ, varies with the protein molecule’s local environment and conformation.